NORCO BIS-6540LCfrom NORCO Intelligent Technology CO., LTD.
BIS-6540LC from NORCO Intelligent Technology CO., LTD.
RFID Edge Controller Development Kitfrom Arcom Control Systems, Inc.
Bluetooth Extension to WinDKfrom BSQUARE Corp.
PEG Portable Embedded GUI for Adv Systemsfrom Micro Digital, Inc.
InfiniHost III EXfrom Mellanox Technologies, Inc.
bf3Netfrom Traquair Data Systems, Inc.
PEG Portable Embedded GUI for Advances Sys'sfrom Micro Digital, Inc. DAWN 2.0from Hem Data Corp.
VME, CPCI Panels, PMCfrom Phillips Components, Inc.
WinDriver v7.xfrom Jungo Software Technologies Inc.
ATCA, cPCI, PMCfrom Purcell Technologies, Inc. Supports the QEMU emulator, allowing users to simulate Linux system development without using actual hardware. 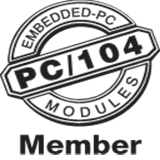 FiT300; 400; 500from AXUS Microsystems Inc.
Green Hills Probe Hardware Debug Devicefrom Green Hills Software, Inc.
VME, cPCI, and PMC panels and hardwarefrom Phillips Components, Inc.
Hardware Debugger 5.03from Jungo Software Technologies Inc.
cPCI, PMC, PCI Panelsfrom Purcell Technologies, Inc.
AdvancedTCA Front Panel Kitfrom SIE Computing Solutions, Inc.
visionICE IIfrom Wind River Systems, Inc.
Panel Hardware Screwsfrom Keystone Electronic Corp.